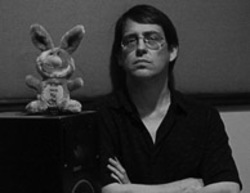 David Williams has been in the anime industry for over 18 years doing everything from subtitling to DVD production,marketing to ADR directing. As an ADR director with ADV Films, he directed shows such as D.N.Angel, Angelic Layer, Pretear, Najica Blitz Tactics and many others too numerous to list. He has authored hundreds of DVDs, subtitled more shows than he can count and been instrumental in bringing hundreds of shows to the US. He is currently working with one of the fastest growing anime companies in North America, Sentai Filmworks.